Under the aegis of the Jean Monnet Chair in EU Law, Professor of European Union Law and Jean Monnet Professor of EU Law, Professor Panos Koutrakos, will be in conversation with Judge Allan Rosas of the European Court of Justice. On 10th February, Professor of European Union Law and Jean Monnet Professor of EU Law in The City Law School, Professor Panos Koutrakos, will hold a conversation with Judge Allan Rosas of the European Court of Justice (ECJ). The free event will take place at 6pm in Room A130 of the College Building. Professor Sir Alan Dashwood QC will chair the session. The audience will learn about Judge Rosas’ role in the ECJ, a position he has held since 17th January 2002. He was a Professor of Law at the University of Turku in Finland from 1978 to 1981 and at the Åbo Akademi University (Turku/Åbo) from 1981 to 96 and served as Director of the latter’s Institute of Human Rights between 1985 and 1995. Judge Rosas represented the Finnish Government as member of, or adviser to, Finnish delegations at various international conferences and meetings (including the United Nations, Unesco, OSCE (CSCE) and the Council of Europe). From 1995, He was Principal Legal Adviser at the Legal Service of the European Commission, in charge of external relations. In March 2001, he became Deputy Director-General of the European Commission Legal Service. 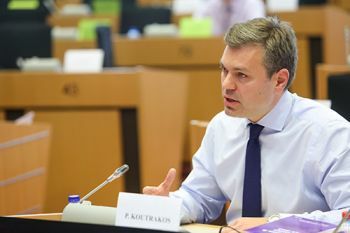 Judge Rosas is the author of numerous articles and the co-author of EU Constitutional Law – An Introduction 2nd Edition (Hart Publishing, 2012). The European Court of Justice is the highest level court within the European Union. The court's primary function is to interpret European Union legislation and ensure that treaties are applied across all branches of the European Union. The court is made up of 27 Judges and 8 Advocates General. Each Judge is appointed based on each member state (one of the twenty-seven sovereign nation states) and legal expertise. Along with the European Coal and Steel Community, the European Court of Justice was established in 1951 with the Treaty of Paris.